Joe acts as keyboardist and music director the drag cabaret troupe, Denim. Initially founded in March 2011 by Amrou Al-Kadhi (aka Glamrou) as a reaction against the monotony of Cambridge University nightlife, ‘Denim’ rapidly blossomed into one of Cambridge’s most beloved events. The evening consists of over an hour of performances from the Denim Drag Kings and Queens, including a full live jazz band, vocal harmony, solos, dancing, and stand-up comedy. Make-up artists are scattered around the club to allow every audience member to explore their own expressions of gender, while the dragged-up DJ’s play floor fillers until closing once the show is finished. Joe is Production Assistant for the Institute of Composing. The Institute is directed by Peter Wiegold and hosted by club inégales. It is a new think-tank that takes a broad look at new music-making in an environment led by creators of music, rather than by critics or academics. 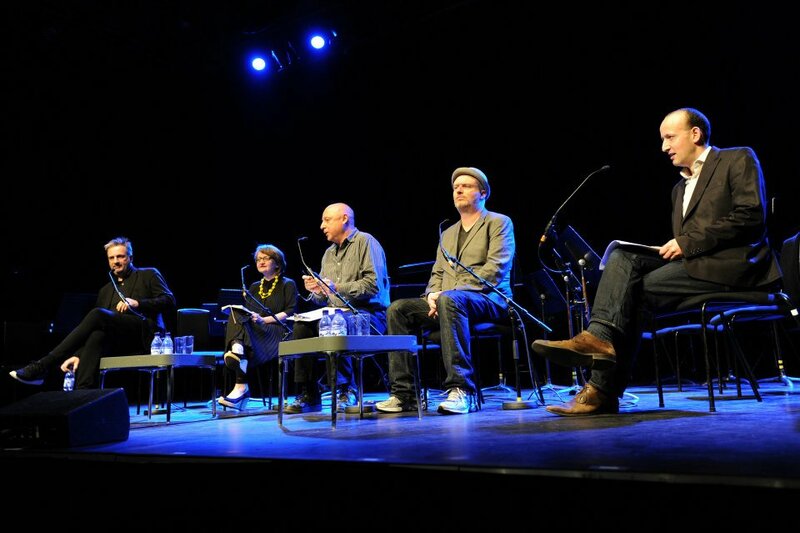 From its infamous 'Rants' to its longer panel debates and composition academies, The Institute of Composing fosters a space in which people can ask the important questions about new music of all kinds.